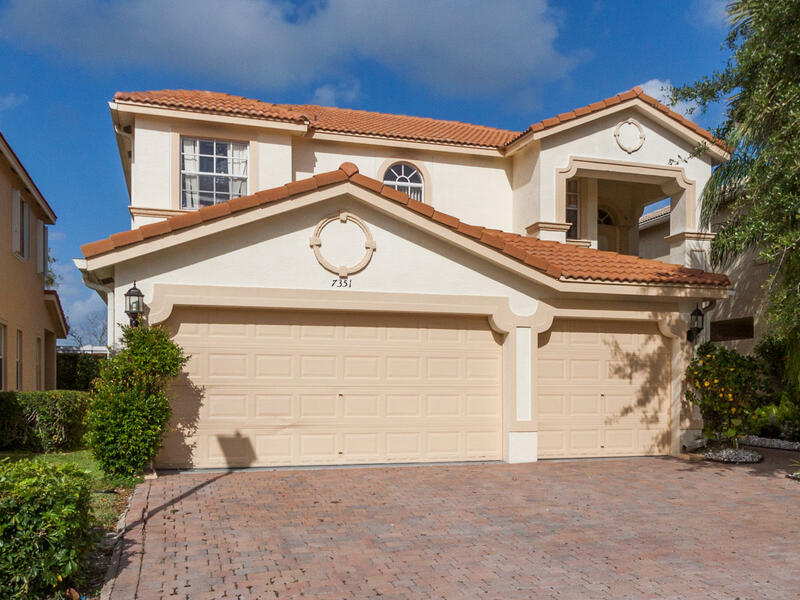 All Isola Bella Homes homes currently listed for sale in Lake Worth as of 04/26/2019 are shown below. You can change the search criteria at any time by pressing the 'Change Search' button below. "Large 5 Bedroom 3 1/2 Bath 2 Story with a loft. Three Car Garage Home with a swimming pool .Master Suite is located on the first floor and features a large HIs and Her Closet . The Master Bathroom has dual sinks, Roman Tub and a separate shower. Updated Kitchen with formal living, dining and breakfast nook; upgraded flooring throughout. Dual zone AC less than 5 years old. Laundry Room Cabinets and sink upgraded. The screen Patio overlooks Large Yard with a pool and is Great for Entertaining. Beautiful manned gated community with resort style amenities. Isola Bella Homes is Sought After community and This Large Home is Priced to Sell. Grade A Schools., Park Vista District. Hurry!"